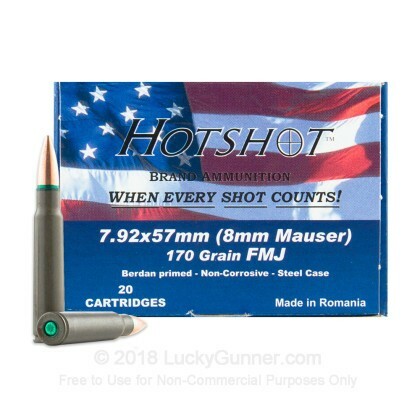 From Century Arms International's Hotshot brand comes a fantastic new production steel cased round for your 8mm Mauser (7.92x57) rifle. 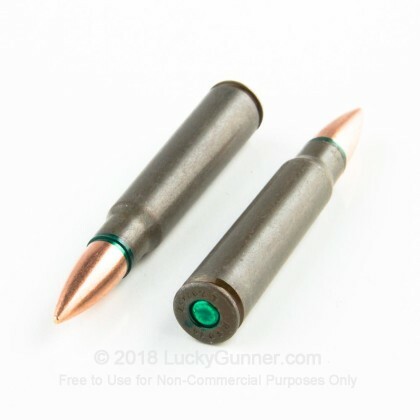 This round features an economical bimetal 170 grain full metal jacket projectile that's perfect for a day at the range. Loaded in Romania, this cartridge has sealant applied to the case mouth and primer pocket, ensuring the powder says perfect for decades to come. 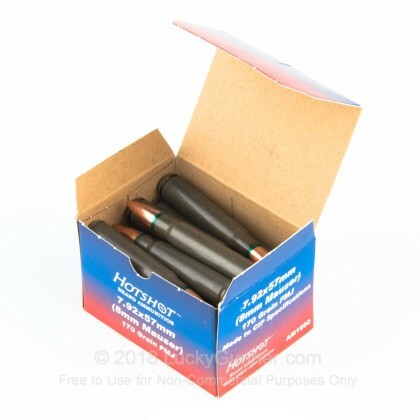 This ammo is non-corrosive, Berdan-primed, steel case (non-reloadable) and will attract a magnet. 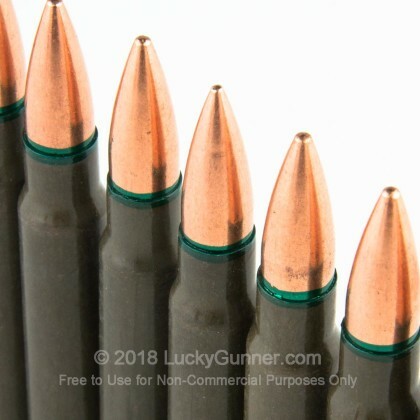 I only had one problem in my yugo m48 mauser. The case expanded and got stuck. But other than that one issue i hav han no problems and my rifle seems to enjoy this load too. Had multiple feeding issues and a ruptured case that caused it to be stuck in the chamber. The extractor on my FN49 tore the rim of the case off as well. That said it works great in bolt action rifles so if you're purchasing it for that then it should be fine. Fine for the range but caused the bolt to jam on my Mauser. Tried some of this through my K98 Mauser, and it functioned well, accuracy was not too bad but not overly great. Works way better than the SADU Romanian manufactured stuff from 2012-2013. Overall not bad for plinking. Needed an inexpensive range round for my M48. Auditioned Hot Shots. After firing the first round a distinctively foul odor permeated outdoor range, rancid like rotting garbage in the sun. I fired 10 rds and the closest sailed a foot above the ten ring, compared to PPU 198gr which had nice tight groups inside the 8 ring. Not overly impressed. Excellent service and follow through. I was very happy with the purchase. 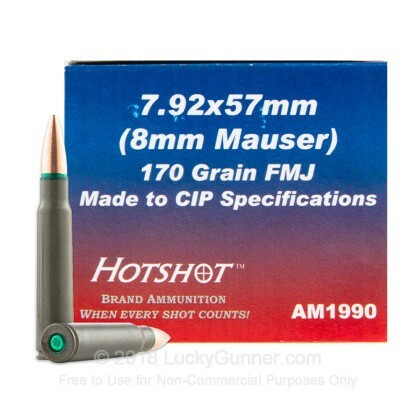 Very quick delivery and great price I need more ammo. 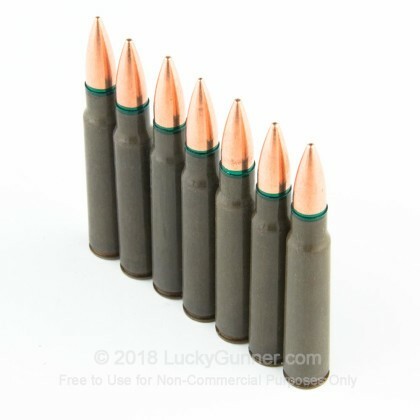 i am now well stocked on 8mm Mauser Ammo. Havent tried any, its hard to get wheel chair onto Gun Club Range in 3 Feet of Snow. Wil test it out in the spring and report back.